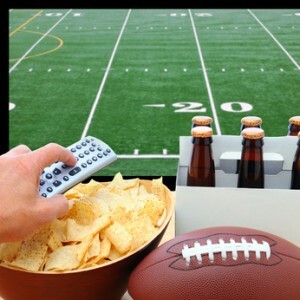 Each year, the Synergy Marketing Blog takes a special look at Super Bowl Sunday. And, no it’s not just because it seems as if the majority of North Americans are taking in the NFL’s championship football game. It’s because the Super Bowl broadcast is very well-known for showcasing some of the most elaborate commercials ever made! Many viewers admit to tuning in for the commercials more so than for the game itself. It’s no secret that big-named advertisers have spent millions of dollars on 30 second slots, knowing that the viewership of each Super Bowl game is enormous. And yesterday’s affair was no different. All of the major players returned. And we’re not talking about Tom Brady, whose New England Patriots captured their 4th Super Bowl championship in 14 years following their narrow 28-24 defeat of the Seattle Seahawks. Among the advertisers with Super Bowl commercials were auto companies such as Jeep, Toyota, Lexus and Nissan; fast food chains like McDonald’s and Carl’s Jr.; junk food snacks including Skittles, Snickers and Doritos; beer brands such as Budweiser and Bud Light and web hosting companies including Wix.com and the ever-present GoDaddy.com. So what were among the most intriguing of all the ads? Wix.com arguably actually had one of the most appropriate and respectful Super Bowl ads we’ve seen in some time. Naturally, it makes sense to appeal to football fans during the Super Bowl. And this company that offers website creation and hosting did just that with their ad starring a number of retired NFLers including Brett Favre, Terrell Owens, Emmett Smith and Larry Allen. Each former pro was shown running a new post-football career business complete with website. The ad could easily be considered one of the more “tame” commercials to appear during a Super Bowl. However, its use of highly heralded NFL superstars of the past leant itself to best resonate with the viewing audience. So just how successful does Wix.com intend to be following the release of this commercial? SuperBowlCommercials2015.com suggests that the company is about to become a major player in its industry. “By investing in a Super Bowl spot for the first time, Wix hopes to turn themselves into a household name in America and to become the go-to website builder for small businesses and individuals in America,” says the website, “Founded in 2006, Wix now boasts over 59 million registered users worldwide.” It should go without saying that airing a commercial during the Super Bowl can have a major impact. Insurance company, Nationwide has apparently planned on having a major impact itself. Its Super Bowl ad has been discussed as one of the most depressing in the broadcast’s history. That doesn’t mean it wasn’t effective, however. It depicts a young boy explaining that all of the experiences that young boys generally enjoy while growing up will be missed due to his own untimely death. “Nationwide completely killed the mood at Super Bowl parties across the country with a shocking ad to promote the prevention of childhood deaths,” writes Nick Schwartz of USA Today, “After being kissed by a girl for the first time and flying through the air, a young boy reveals that he never had any of those experiences because he drowned in a bathtub.” Talk about a downer! Which SuperBowl commercials did you like best? Feel free to watch them HERE and tweet us at @synergymkt!